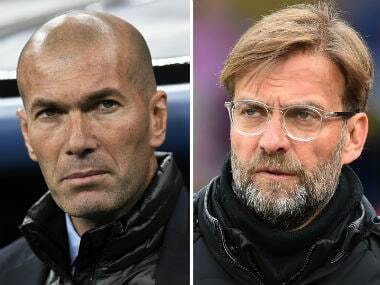 Kiev: Jurgen Klopp expressed his admiration for Zinedine Zidane a day before he leads Liverpool into the Champions League final hoping to stop the French legend's Real Madrid side from winning the trophy for a third year in succession. Zidane has led Real to victory in each of the last two campaigns, and will enter the history books if he becomes the first coach to win Europe's premier club competition three years in a row. Real beat Paris Saint-Germain (PSG), Juventus and Bayern Munich in the knockout rounds on the way to the final. Yet Zidane's detractors consider him to be a supervisor of a supremely talented squad, spearheaded by Cristiano Ronaldo, rather than a tactical genius. 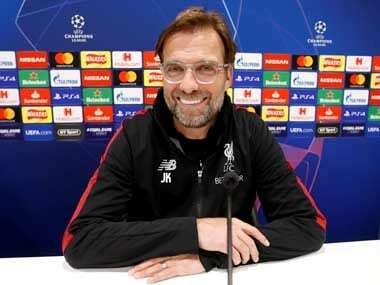 "If a lot of people think Zinedine Zidane doesn't have much knowledge of tactical things — because a lot of people think that about me — that would be really funny," Klopp told media at Kiev's Olympic Stadium on the eve of the game. Zidane, 45, is poised to win a third Champions League title despite only becoming Real coach in January 2016, three months after Klopp took over at Anfield. The only managers to have won three European Cups are Liverpool's Bob Paisley and Carlo Ancelotti, who most recently led Real to victory over Atletico Madrid in 2014. It would be an incredible feat for Zidane, who as a wonderful midfielder won the World Cup and European Championship with France and the Champions League with Real. Klopp added: "Zidane for me is one of the best five players of all time in football. 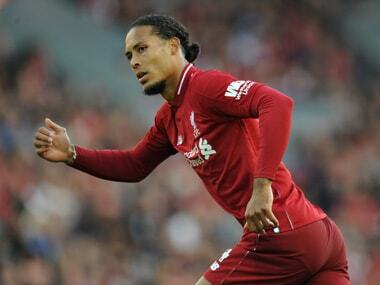 "Since two and a half years now, I am longer at Liverpool than he is at Real Madrid and he can win for the third time the Champions League. "You have to expect he is brilliant, like he was as a player. His players and him seem to work like a clock from Switzerland." In contrast to Zidane, Klopp had a modest playing career in his native Germany, mainly appearing as a defender for Mainz. 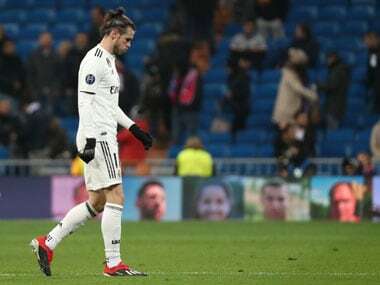 "As a player I was a bit better, but he wasn't bad," insisted Zidane, although it is as a coach that Klopp has distinguished himself. "I have a lot of respect for this man. He has a lot of experience, and what he has done in football has been phenomenal. "Are we similar? No, because everybody is different, but I respect him." Zidane has won eight titles in total as coach of the Spanish giants, including La Liga last season and two Club World Cups. Klopp has yet to win any silverware with Liverpool, although he led them to the 2016 Europa League final, losing to Sevilla. This will be Klopp's second Champions League final as a coach, after his Borussia Dortmund team were beaten by Bayern Munich at Wembley in 2013. Despite their contrasting backgrounds, Klopp insisted there are similarities between them. "Zinedine Zidane was his whole life a fighter growing up in Marseille in the area where he has grown up, and to have his kind of career, you need to be a fighter," said the German. "I saw his face when someone asked him in a press conference about hunger, and he got angry — the same would happen to me and I am from a small village in the Black Forest." While Real's experience makes them favourites to win a 13th European Cup, five-time winners Liverpool are not lacking confidence after a fantastic run to the final. 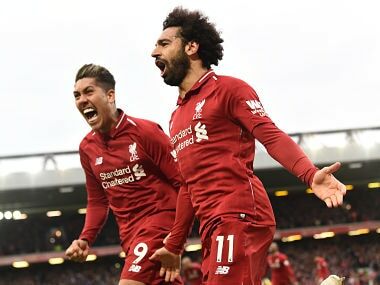 They have scored a record 46 goals in all in this season's competition, with Mohamed Salah netting 11 of those, including in wins over Manchester City in the quarter-finals and Roma in the semi-finals. Now they face Real in the final for the second time, after triumphing 1-0 in Paris in 1981. "The club have won the competition a few times so it is the DNA of the club to win trophies. We want to win the trophy for the fans and the club and we're certainly going in the right direction," said skipper Jordan Henderson.